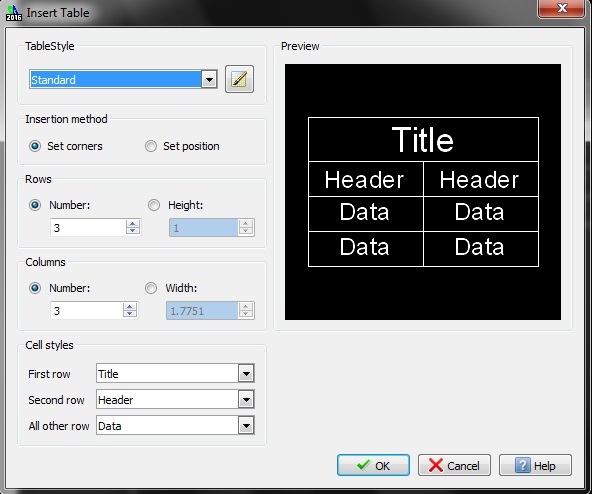 In this post we will see how to Create/Insert Table in DraftSight Drawing File. 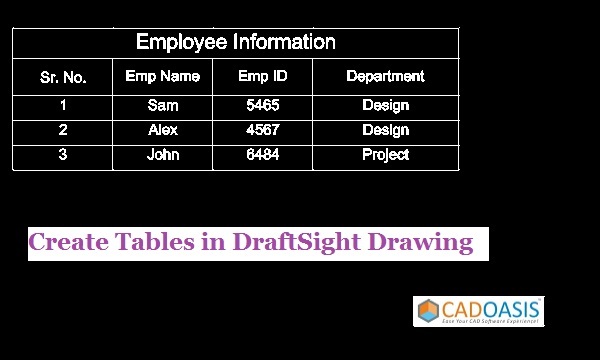 # Where is ‘Insert Table’ in DraftSight? Or Your can Run Command TABLE from command window to Pop up ‘Insert Table’ dialog box in DraftSight. # How to Use this ? 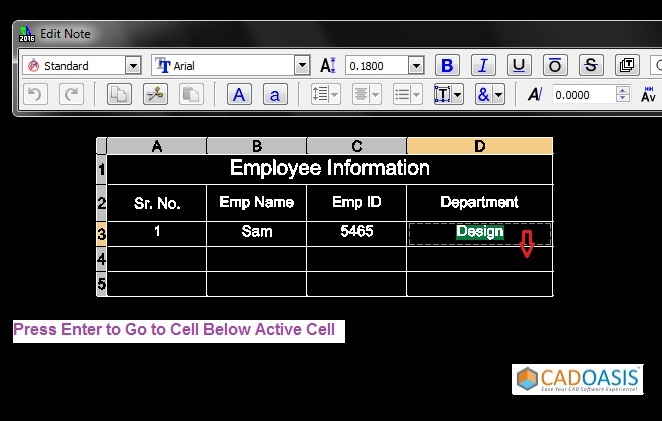 If you single click inside any Cell then ‘Edit Table’ Cells Pop up will show . 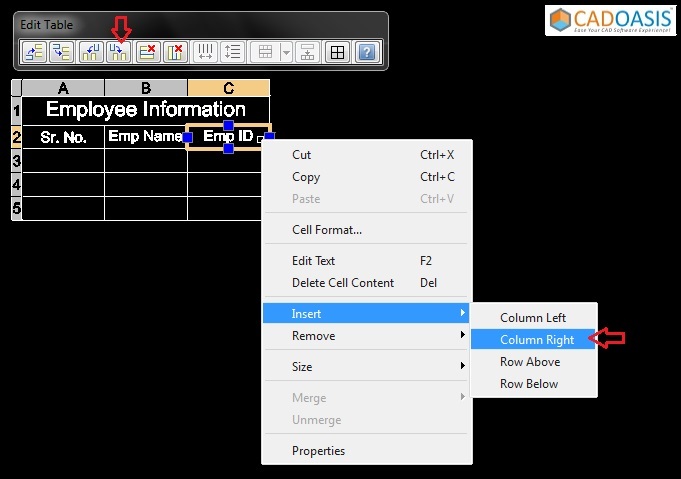 You can manipulate Table Rows and Columns from this Small Toolbar. After Single click inside Cell if you start Typing in any cell or Press one more click inside same cell then Text then ‘Edit Table ‘ cells toolbar will change to ‘Note Formatting’ toolbar and you can edit/modify text inside Cells. You can add or Remove Columns and Rows from inserted Table also. Select Cell Right Click or Choose appropriate buttons on ‘Edit Table’ pop up. 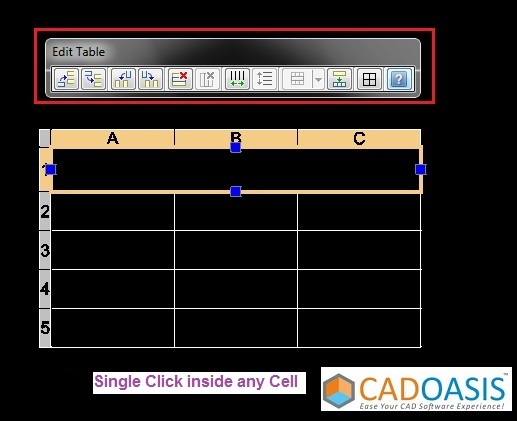 To adjust Table rows or columns or Entire table select Complete Table and Drag Grip points of table. 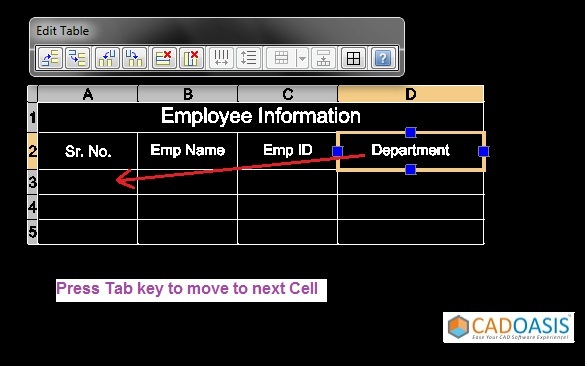 TO move to next Cell in Table or If you are at Last Cell of rown then clicking Tab will take you to First Cell of Next Row. While in Editing Mode use ‘Enter’ key to go to cell below Active Cell. You can press Esc key to save changed in Table or Click anywhere outside Table will take you out of Insert Table command. Comment below if you have any doubts or issues whirl Creating Tables in DraftSight. I am having a lot of diffuculties sizing the row heights with tables in DrafSight. I cannot make the row heights less than 1.4. Hi Ben what issue you are facing. Can you please send us snapshot or file for this issue? On TABLE dialog box standard row height is 1.